With the holidays fast approaching, it’s time to start thinking decor and how to best welcome all those guests you’re expecting! 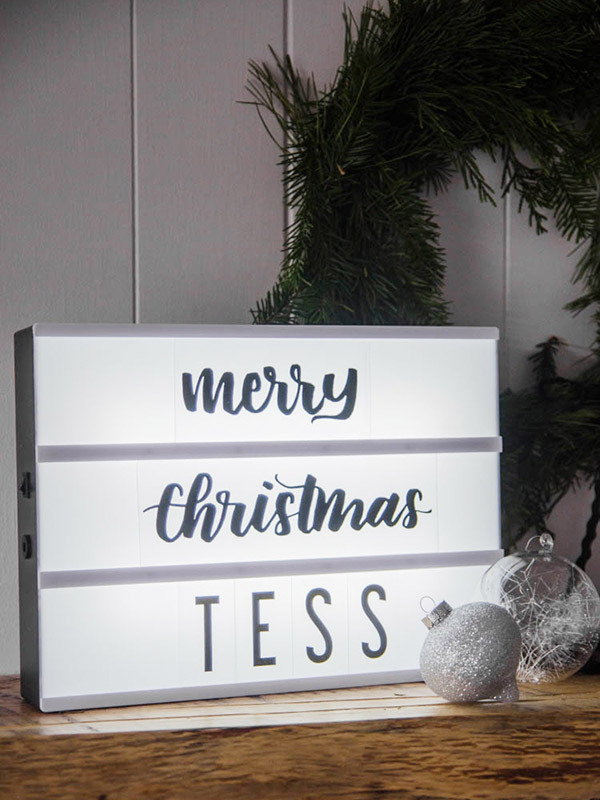 This DIY is such a fun way to take the standard lightbox which is right on trend and give it a personal touch- with hand lettering! There’s something that’s so personal about handlettering. 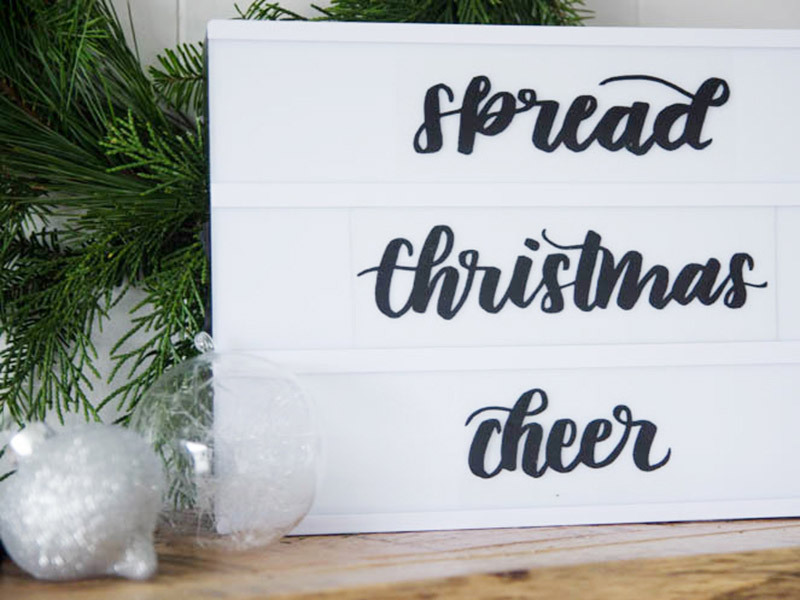 It’s imperfectly charming and a fun alternative to the block letters that come in a lightbox kit. Mix them together to welcome guests by name or share a simple holiday phrase- the sky is the limit! The first thing you’ll need to do is decide on your phrase(s). 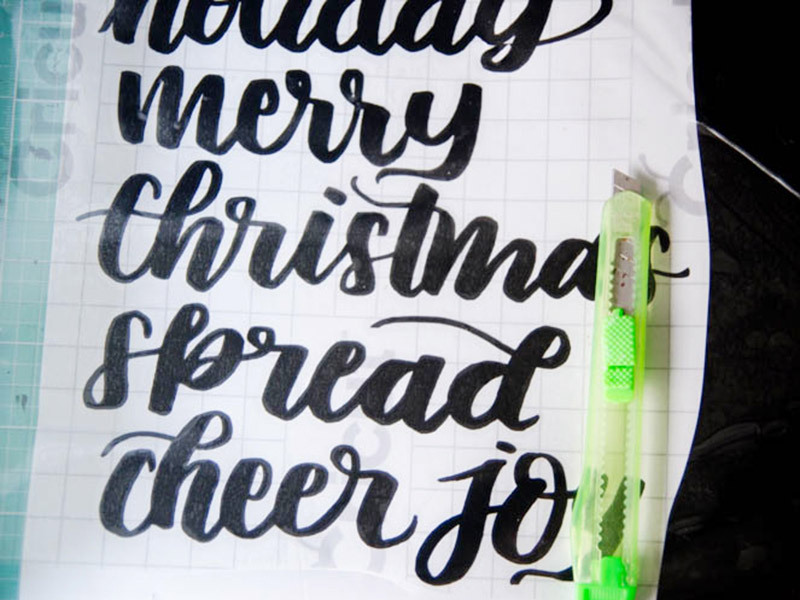 I decided to letter the phrases ‘spread holiday joy’, ‘spread christmas cheer’ and ‘merry christmas’. If you like, you can snag my files right here (for personal use only). Alternately, you could letter your own and digitize it OR just use a hand lettered looking font type directly into Design Space. To upload an image of your own into Design Space, select ‘Upload Image’, then for simple black on white designs like this, choose ‘Simple Image’, then ‘cut only’. Insert it and scale to the size you like. Each light box is different in size, so just measure the acrylic letters yours comes with. Then, set your machine to ‘vinyl’ and load your map with the vinyl backing side down on a light grip mat. Hit ‘go’! and watch your designs cut out! Weed your design before applying transfer tape over the whole design. After the transfer tape is applied, cut each word out individually. Now… that acrylic! I actually ended up doing these two different ways. One with the actual stiffer material that looks like lightbox letters. I found this in the photo frame section of the craft store (sold with backing board). The issue with this? It’s the tiniest bit too thick so you need to cut it PERFECTLY to size and wiggle it into place carefully. To cut the acrylic, I used a straight edge and a utility knife. Cut several times on the line before snapping. If you snap too early it won’t break on the line, so make sure to cut until it’s almost cut through. I then sanded the edges with a 400 grit to smooth them down. The other option is to use either transparency sheets (the kind from an office supply store) or the cover of an old Cricut mat (that’s what I used!). These are clear, look great, but are just much thinner so they don’t look as substantial. Because of the ease of making the ones (and the cost!) I would probably do them with this thinner material in the future. 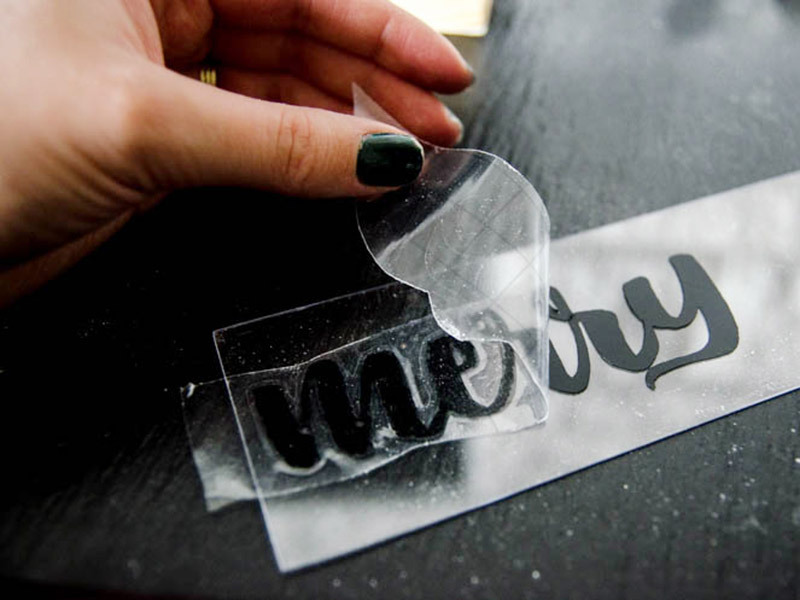 Once your pieces of acrylic or transparency are cut to size, go ahead and apply your vinyl transfers! 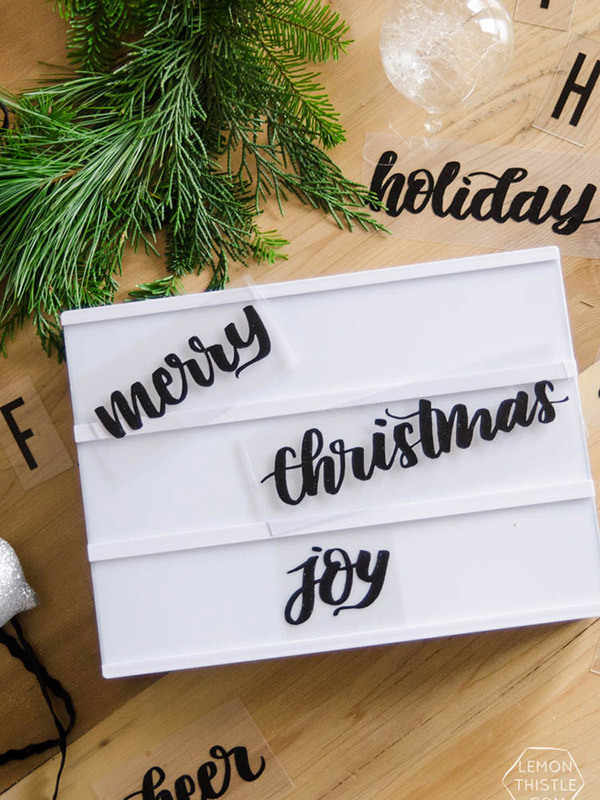 This is such a fun way to customize your lightbox for the holidays - I can’t wait to welcome guests with this! 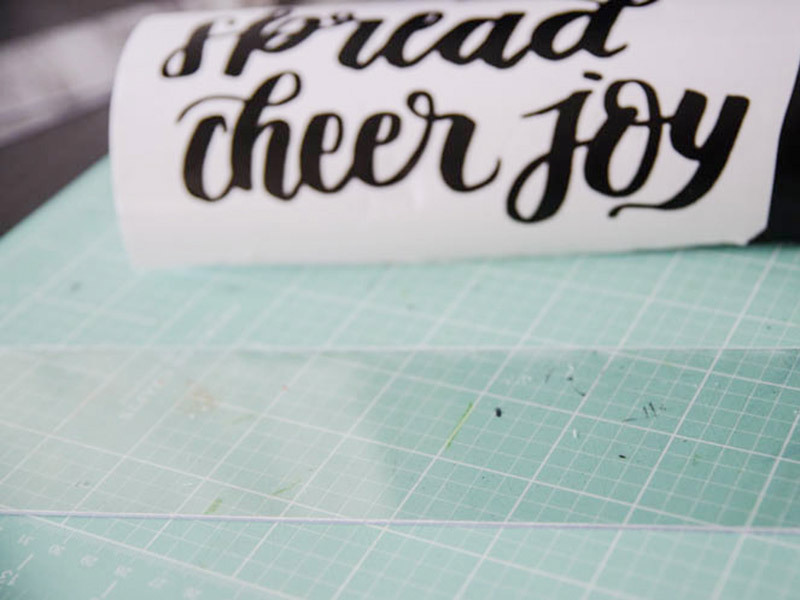 #SayItWithCricut: Our Secret Obsession for DIY Pillows! Ring in the Year with a Bling! Thank you for sharing. I can always use new ideas.